What is it? A hospital staff survey designed to help hospitals assess the culture of safety in their institutions. The overall goal is to create an organizational culture that promotes communication among all members of the healthcare team and increases reporting of patient safety concerns and conditions whether actual or near misses. The survey supports the aim to reduce patient harm and improve patient safety. KHA assists hospitals with the survey process. The Association provides an online survey tool for distribution to your staff. Once the survey is complete, KHA aggregates the survey results and provides detailed, customized reports to the hospital. KHA staff then uploads the data to the national Agency for Healthcare Research and Quality (AHRQ) comparative database and provides any comparative results at re-survey. A staff survey designed specifically for outpatient medical office providers and staff, which asks for their opinions about the culture of patient safety and health care quality in their medical offices. The overall goal is to create an organizational culture that promotes communication among all members of the health care team and increases reporting of patient safety concerns and conditions, whether actual or near misses. The survey supports the aim to reduce patient harm and improve patient safety. What is it? The Medicare Beneficiary Quality Improvement Project (MBQIP) is a quality improvement activity for critical access hospitals under the Medicare Rural Hospital Flexibility (Flex) grant program of the Health Resources and Services Administration's Federal Office of Rural Health Policy (FORHP). The goal of MBQIP is to improve the quality of care provided in critical access hospitals (CAHs) by increasing quality data reporting by CAHs and then driving quality improvement activities based on the data. This project provides an opportunity for individual hospitals to look at their own data, measure their outcomes against other CAHs and partner with other hospitals in the state around quality improvement initiatives to improve outcomes and provide the highest quality care to each and every one of their patients. A hospital performance report for Kentucky hospitals participating in the Kentucky Hospital Engagement Network (K-HEN). The “HEN” initiative is funded and supported by the Centers for Medicare and Medicaid Services. 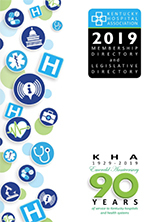 K-HEN, KHA’s HEN initiative, includes participation by more than 70 Kentucky acute and specialty hospitals and focuses best practices and improvement resources in numerous clinical quality and patient safety culture areas. The Quality Dashboard is a snapshot of a participating hospital’s improvement and performance in the initiative. 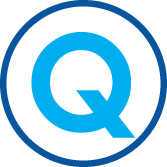 Kentucky Quality Counts is the new Quality Data Collection tool for KHA and the Kentucky Institute for Patient Safety and Quality. It is an online system that securely allows for the submission, collection and editing of all outcome and process measures for quality reporting.